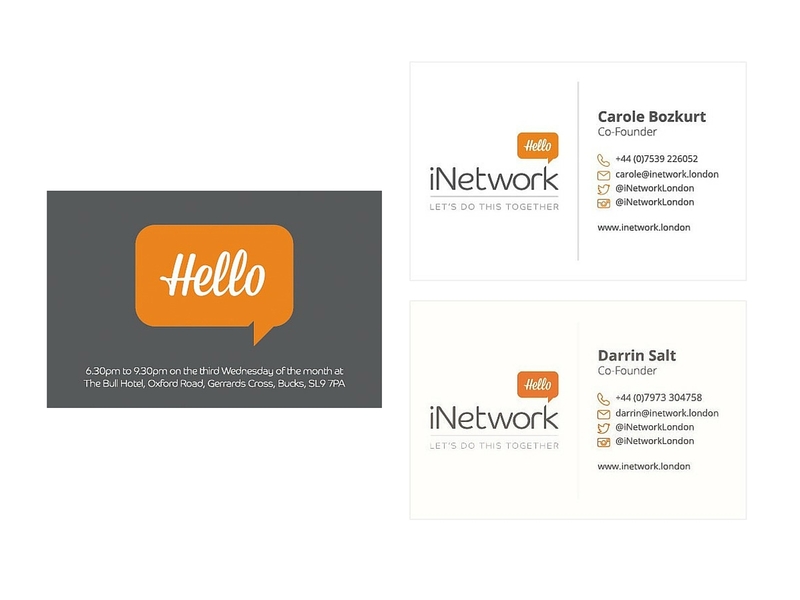 The iNetwork brand identity must look modern, hand-crafted, stylish and up-to-date. It must also convey the warmth and friendliness of the brand personality together with a sense of energy and inspiration. The desired brand colours included charcoal, orange and possibly red. The iNetwork colour palette is based around the sociable power of orange, which mixes the attention-grabbing dynamism of red with the uplifting vitality of sunshine yellow. The core colours are orange and charcoal, which adds a touch of sophistication and refinement to the vivacity of orange. These core colours are supported by a sparkling palette of four colours – navy, red, green and purple – each allocated to specific a iNetwork activity or service. The logo includes a witty speech bubble, with clean, modern typography to create high impact, with a friendly air.